Trivium’s career up to this point has been kind of a scattershot endeavor. Each album seems to aim for a different sound. 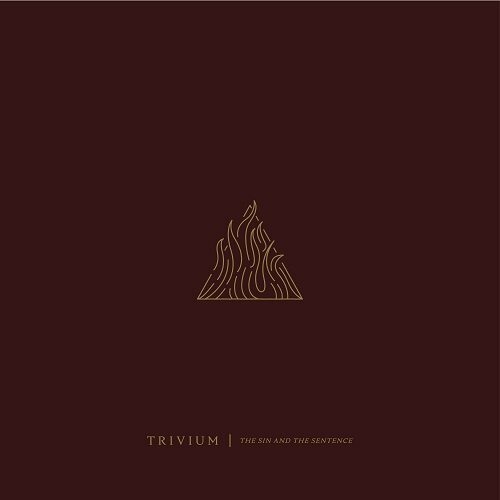 However, instead of feeling like an intentional change of course, for some reason it always feels like Trivium is blindly searching for that perfect place to exist. And this is kind of weird for a band as established as Trivium. I mean, they are eight records into their career at this point. Are they melodic death metal? Are they deathcore? Are they traditional metal? It’s really hard to say after listening to their eighth official release. There are aspects to all these sub-genres running around in their sound, but it just seems like there isn’t a confident head space in which these guys like to live. Given this seemingly unsure course for the band, their albums over the year have been all over the place in terms of quality. A few years ago, I really thought these guys hit pay dirt with 2011’s In Waves. That album was confident as hell, had mad riffs all over it and was just downright infectious. However, in the two subsequent releases, Trivium failed to replicate the quality of the songs they created. It seems as though the band was playing for more of a crossover pop metal sort of sound and, in my opinion, it didn’t quite work. Which brings us to the latest platter. I’m happy to report that even though it doesn’t quite match up to In Waves in terms of quality, it is definitely a step in the right direction. There is an aggression present that hasn’t been heard in Matt Heafy’s vocals in a long time. The guitar work, as always, is slick and flawless. It’s almost sickening how smooth the playing is on this album. And the songs just click like they didn’t on the past couple of albums. This is the direction to head, boys. Stay true to this vision and the highs will continue to get higher for you. And, a small request, if I may? Can we try to stick with one drummer for more than one album? You guys are very close to reaching Spinal Tap level ridiculousness for the revolving slot on the throne. I really hope the new guy doesn’t spontaneously combust on the touring cycle for this album.